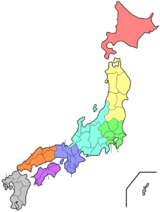 Kanagawa Prefectur (神奈川県, Kanagawa-ken) is a prefectur locatit in the soothren Kantō region o Japan. The caipital is Yokohama. Kanagawa is pairt o the Greater Tokyo Aurie. ↑ Nussbaum, Louis-Frédéric. (2005). 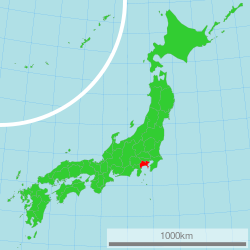 "Kanagawa" in Japan Encyclopedia, p. 466 at Google Books; "Kantō" in p. 479 at Google Books. ↑ Nussbaum, "Yokohama" in pp. 1054-1055 at Google Books.